Welcome to Clean USA, Sycamore’s premier carpet cleaning company. We are here to keep your carpet looking like new! Is Your Carpet Telling You It Needs to Be Cleaned? The first job of a carpet is to provide comfort. Whether it’s a adding a little softness and noise dulling to an office or turning a small bedroom into a cozy nursery, carpet has the power to utterly transform a space. Once installed, it can take a lot of abuse without showing it, and as a result, many people fail to realize just how badly it needs a little TLC. As an integral part of a space, carpet doesn’t just impact the aesthetics, it also can change the cleanliness and health of the space. Keeping your carpet clean is an investment in both your comfort and your health. Vacuuming is very important, but it isn’t the ultimate solution for your carpet. It works best when partnered with regular professional carpet cleaning. Think of carpet cleaning as a way to reset your carpet and add years to its life so that vacuuming actually works. It needs to be cleaned just enough to renew it without wearing it down, and we know what that looks like. Your carpet will tell you it needs help. The key is not to get so used to the way it looks that you think its distress signals are just normal. 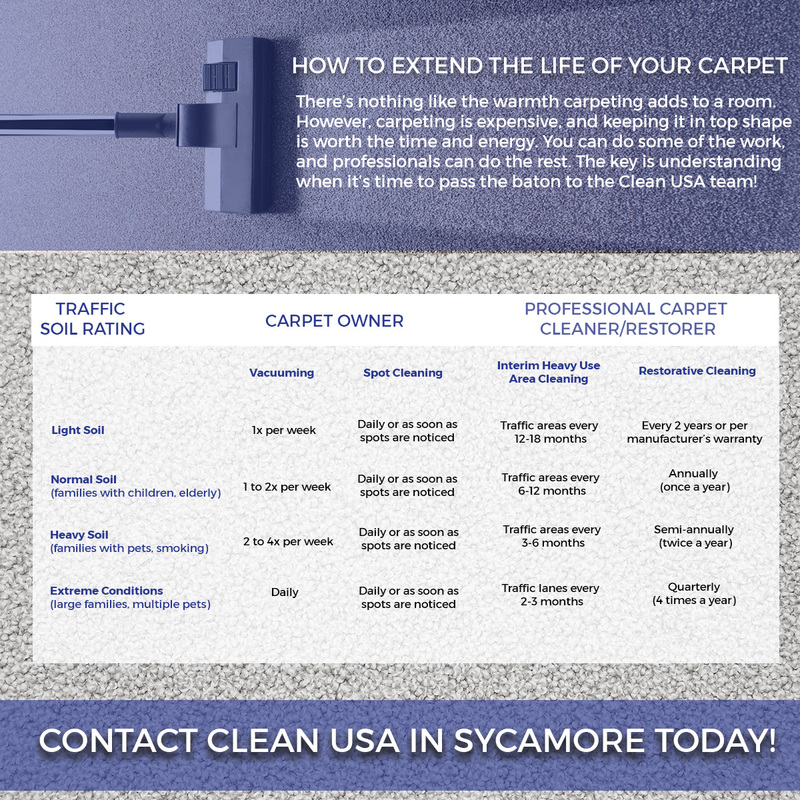 We hope the following list of signs will help you understand when it’s time to call our home carpet cleaners in Sycamore. You’d be surprised how many smells your carpet can absorb. It absorbs the odors from your pets, the food you cook, and the different types of dirt that get tracked into it. Over time, it will begin to affect your home’s air quality. If you notice odd smells coming from your carpet or you’ve started avoiding laying on it because you don’t want your nose close to it, you’re overdue for cleaning. Believe us, if you’re noticing the smell, anyone who enters your home can smell it, too. We can completely refresh your carpet and your home along with it, setting you up for pleasant smells and plenty of laying on the floor in the future! Your allergies are flaring up. You may notice that you’re experiencing allergies at odd points of the year, when things should be calming down. You may also experience unprecedentedly intense allergy seasons that leave you or the ones living with you sneezing like crazy. A lot of people turn their attention to the HVAC system as the culprit, but they fail to realize that their carpet maybe the true issue. Carpets collect dirt and other irritants; it’s just what they do. While vacuuming makes an important difference, it isn’t the ultimate solution and may just be scratching the surface. Our cleaners will get deep into the carpet to remove the troublesome particles. You can’t get stains out. Fortunately for homeowners’ wallets, a lot of stains can be removed by hand. However, if you’ve got stains that just don’t respond to your attempts to erase them, you should definitely bring in the big guns. Our professional carpet cleaners have specialized tools and environmentally-friendly chemicals designed to tackle even the most stubborn stains. We can also do it without wearing your carpet unevenly and creating unattractive inconsistencies in the texture. Do you notice the carpet is darker and matted down on the paths between furniture or in hallways? Is the vacuum failing to fluff it back up again? It’s not just aesthetically inferior, it can lessen the value of your home. A bunch of trenched-out carpet will pull your entire home down, and the longer you leave it, the worse it will get. When we clean your carpet, our machines get deep into the carpet’s structure, putting life and form back into fibers that have been completely crushed down. Consistently getting your carpet “re-fluffed” and flushed of particles that wear it down will keep the high-traffic areas from getting too worn down, extending the life of your carpet altogether..
Did you know that we provide janitorial services in addition to our carpet cleaning services? The team at Clean USA is proud to provide the businesses of Sycamore with world-class cleaning. 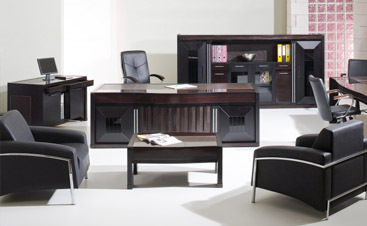 We understand that the appearance of your business is extremely important to its success. We also understand that the cleanliness of your business has a huge impact on the health of your employees and your customers. You don’t have time to be distracted by cleaning; you need to be able to focus on growing your business. We can help make that happen. At Clean USA, we can create custom cleaning plans for your business. That means you won’t have to pay for any service you don’t need. We want to be your ally, not a burden. 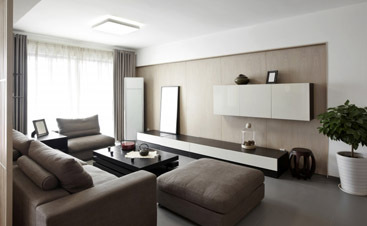 If you’re a property manager, we can clean your property to ensure new clients want to rent it. We can also clean your business building or office space to ensure that your customers and employees have a safe place to invest or earn a living. 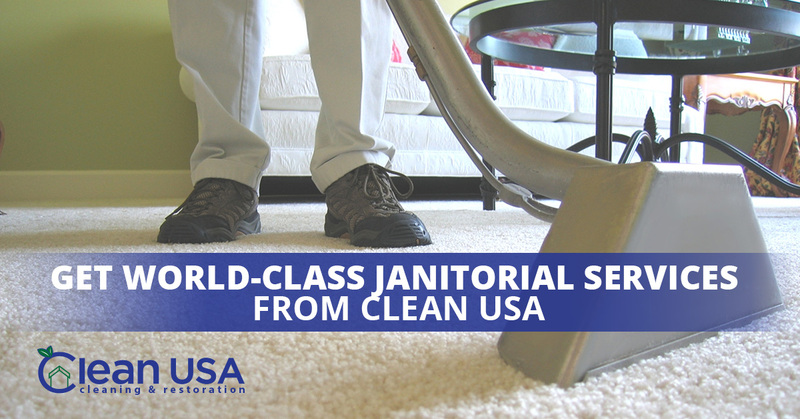 When you put Clean USA in charge of the cleanliness of your building, you access a team who knows how to clean your floors, furniture, bathrooms, and beyond. We treat your property like it’s our own, careful not to wear it down but to keep it looking like new. Hiring a commercial cleaner can be nerve-wracking for several reasons. People are worried about allowing someone full access to their building. They worry the janitors won’t restock supplies or charge a lot and not be worth the price. When you work with Clean USA, you don’t have to worry about these things. Instead, you get a team who understands what you have on the line as a business owner and has both the skills and the experience to provide you with the very best commercial cleaning services. Let us keep your business shiny and new in Sycamore. Contact us today to learn more about what we can do for you! 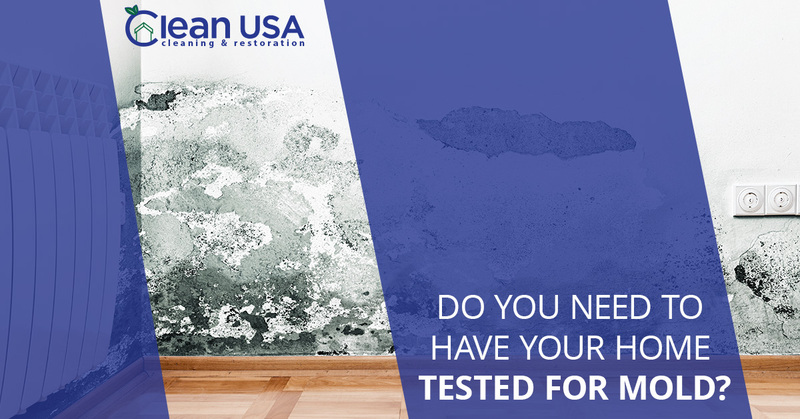 Do You Need to Have Your Home Tested for Mold? 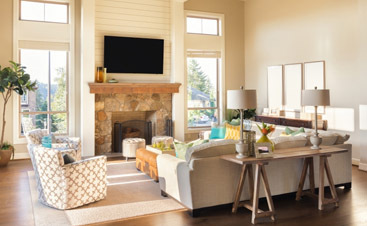 Your home needs to be a refuge, a place you and your family can go to recharge from the rigors of daily life. It also needs a place you can trust to be healthy. Chances are good that you spend a significant amount of time in your home, and if it actually plays a part in hurting your well being, something needs to be done. Mold can be a common blight on both homes and businesses, where it often grows out of sight as the result of a water leak or ventilation problems. Too many times, water issues start behind the walls, and by the time they make themselves known via staining, rot, mold, or all three, there is a world of hurt behind the wall just waiting to be discovered. At Clean USA, we have done our fair share of cleanup after water disasters, and we have dealt with all kinds of aftereffects. In today’s blog, we want to discuss mold, specifically black mold. Also known as Stachybotrys Chartarum, this is a toxic, greenish-black mold that thrives in wet material that is high in cellulose. This includes wet leaves, carpet, ceiling tiles, straw, dry wall, hay, thermal insulation, and wall paper. You won’t see it growing on vinyl, concrete, plastic, or ceramic tiles. The world has about 15 different species of this mold, and it grows well where the relative humidity is at or above 55 percent. It may look like the black mold on your shower tiles or the green mold that shows up on old bread, but it is not the same. It is more harmful. Carpets can be optimal mold habitats, holding in dampness and creating a safe place for the mold to grow and reproduce via spores. 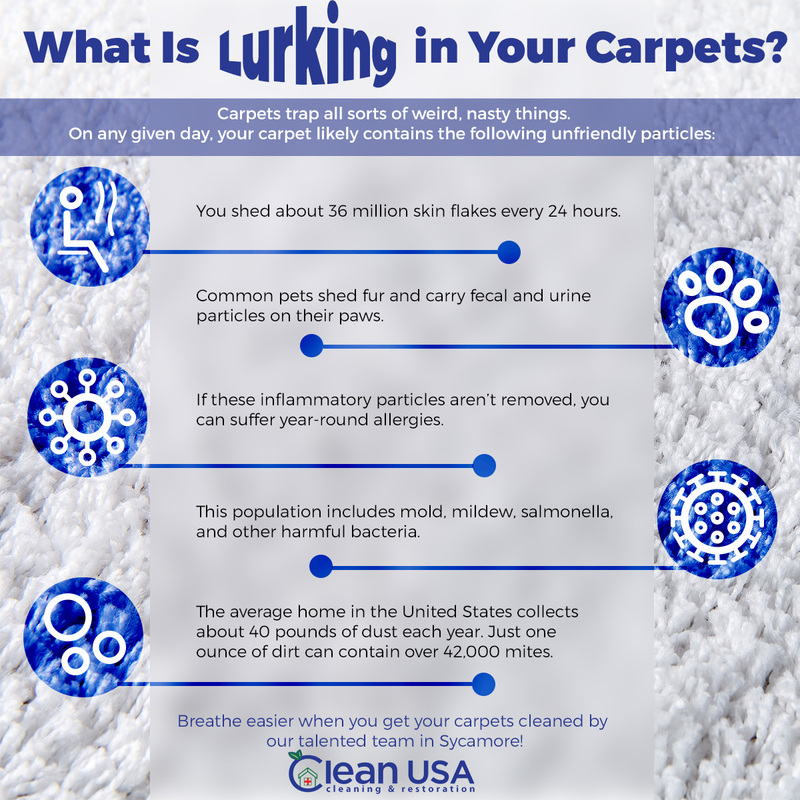 Keeping your carpet clean isn’t just about appearances; it’s about your health. At Clean USA, we work hard to provide home and business owners with carpet cleaning services that make it easy for them to protect their health, the health of their families, and the health of their customers and employees. Don’t settle for hoping that you never have mold problems. Contact our business and home carpet cleaners in Sycamore today! 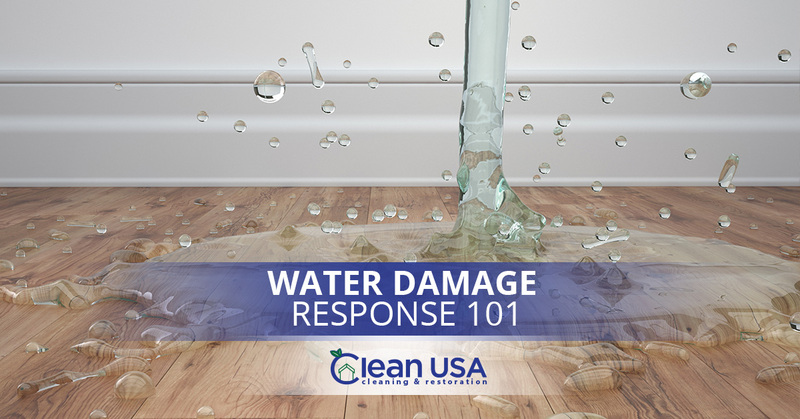 Water damage is one of those things that nobody even wants to think about. Even just a little bit of water can provide a growing environment for mold, rot through important structural supports, and ruin wall and ceiling panels. It truly doesn’t take much for mold to settle in, and people don’t often know it’s there. If your home or business experiences any type of water damage, it’s only a matter of time before mold shows up unless you take quick and complete action. In today’s blog, we want to share the steps you should take in order to ensure that mold doesn’t have a chance to establish itself. These are things you can do to ensure moisture gets taken care of before it gets further. Get all the water out. If you’ve got standing water, eliminating it is your first step. You or a professional can use a wet/dry vacuum to remove the water and get the extra volume out of your home. After you get the majority of the water out, your next priority is to get things dry. This can seem very difficult and often takes a few days. Use fans to constantly circulate fresh air and don’t turn them off for at least a week. You will think the water is gone after a day or two, but we can guarantee it isn’t. Rent high-powered drying fans and give them the full week to do their work. We recommend you install one of these machines. They are designed to remove moisture from the air, limiting the growth of mildew and mold. Adding a dehumidifier will just speed the drying process and make the results that much more complete. Introducing any kind of moisture to the situation can seem counter-intuitive; didn’t we just work to remove it all? The thing is, the absence of moisture doesn’t mean things are clean. Our steam cleaning process uses high temperatures to kill dangerous particles and bacteria, leaving your carpet clean. 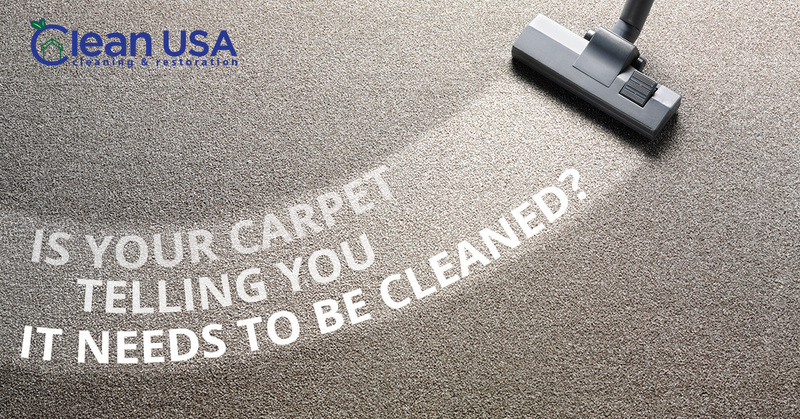 Remember that you will probably need to have the carpet padding replaced, as no cleaning process can remedy the danger of contamination. All walls and baseboards (that don’t need to be replaced) should be sanitized with soap and water. This will help ensure that everything is good as new. Moisture isn’t just a structural or aesthetic risk; it can be a significant health risk as well. Let us help prevent mold in your home or business with our commercial cleaning services in Illinois. Do These Carpet Cleaning Myths Have You Confused? We love carpets for the color, texture, and comfort they bring to any space. No matter the carpet’s color, pile length, or age may be, it has a huge impact on everything around it, including the health of those who walk on it. At Clean USA, carpet cleaning is a significant part of the residential and commercial cleaning services we provide because a clean carpet helps everything around it stay clean, too. If you’ve got a matted, mottled carpet holding years of buildup, it pulls everything down with it. The good news is, preventing this unwanted result is as easy as contacting us in Sycamore. Just like any other process, carpet cleaning suffers from several myths that can prevent home and business owners from making informed decisions when it comes to carpet care. We run into these myths on a weekly basis, and we would like to take some time to address some of the most common ones floating around out there. 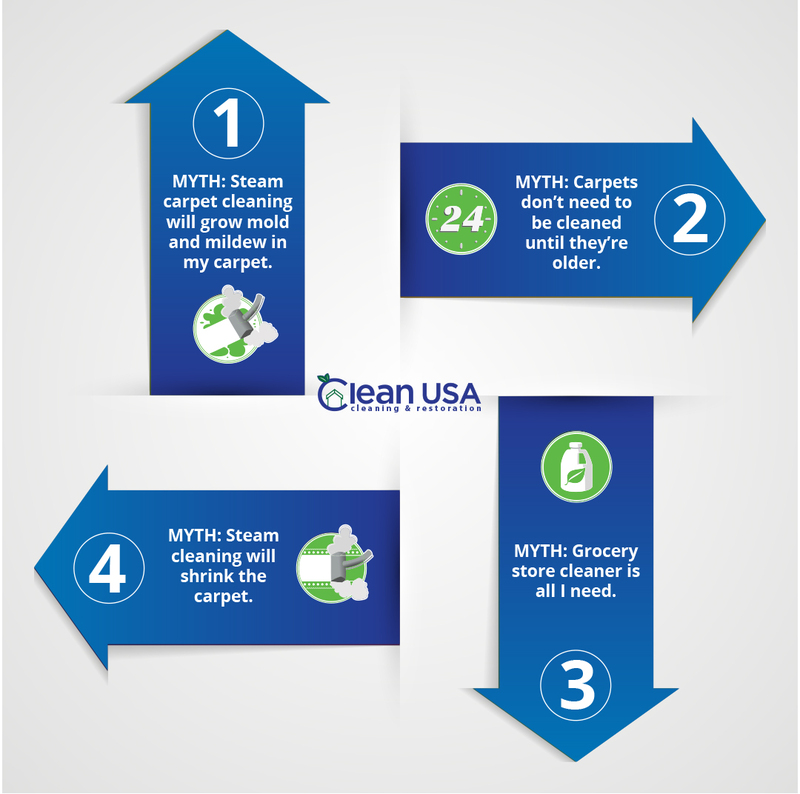 MYTH: Steam carpet cleaning will grow mold and mildew in my carpet. Applying moisture to any type of flooring can be unnerving, but it isn’t a problem when you’re working with true professionals. Proper carpet cleaning never causes mold or mildew. If past cleaners have left your carpets soaking wet, that isn’t normal. The carpets should be damp after cleaning, but they should dry within a day. If you’re worried about mildew and mold, turn to the Clean USA team. We will clean your carpets correctly. MYTH: Carpets don’t need to be cleaned until they’re older. Here’s the thing: most people think their carpets are still young when they’re a few years old. Even worse, they don’t think their carpets are dirty until the dirt starts to show. Because carpets are designed to hide dirt, by the time they look dirty, a lot of damage has already been done. Instead of waiting for your carpet to look dirty, get it cleaned on a regular schedule. Depending on how much wear and tear the carpet experiences, it may need to be cleaned as often as every six months. However, a good rule of thumb is to not wait more than 18 months between cleanings. MYTH: Grocery store cleaner is all I need. Unfortunately, the spot cleaner you can grab off a grocery store shelf is more likely to damage your carpet instead of helping it out. Many times, people end up turning to the professionals anyway, hoping they expertise can fix the stain and the damage. We have world-class products designed to remove stains without causing damage, and our specialized process will make all the difference. MYTH: Steam cleaning will shrink the carpet. A majority of carpets are made of synthetic materials and steam won’t affect them. However, we will always test our products to make sure your carpet (or upholstery) can handle them. If it looks like steam cleaning won’t work, we have several other processes we can use to give you fantastic results. We are here to give you peace of mind when it comes to your carpet. Let our business and home carpet cleaners help you out today! Illinois Carpet Cleaning Myths – Debunked!